#Wali is a pious Muslim who due to his knowledge and closeness to Allah has been given a specific position. Usually this grade is given after strictly following the Shariat and also devotion and worship. It is however, given sometimes from birth and therefore without devotion and effort. Out of all the Aulia, the highest grade is held by the Calipha-e-Raashideen. There have been Aulia in every era and will always be in every era, however, their recognition is difficult. Allah have given the Aulia great strength, whoever asks for their help is given that help even though they may be a great distance away. There knowledge is extensive, upto the extent that many give information of 'Makaana Wamaayakoon' (what has happened and what will happen) and on 'Lo'he Mahfooz'. After death their power and strength increases. 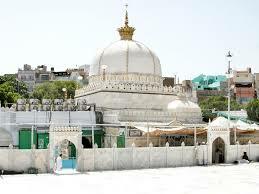 To visit their shrines is to gain virtue, prosperity and blessing. To present them with Eesaal-e-Sawab is a very good thing and a way of gaining blessings. To perform the 'Urs' (death anniversary) of Aulia-e-Kiram, meaning every year to pray the Quran, perform Fatiha, speech ceremony, Eesaal-e-Sawab are all good things and are worthy of reward. However, as regard to bad acts and non allowable actions like, dance, music, group acts etc. are all sinful deeds and are even more sinful when performed near shrines.